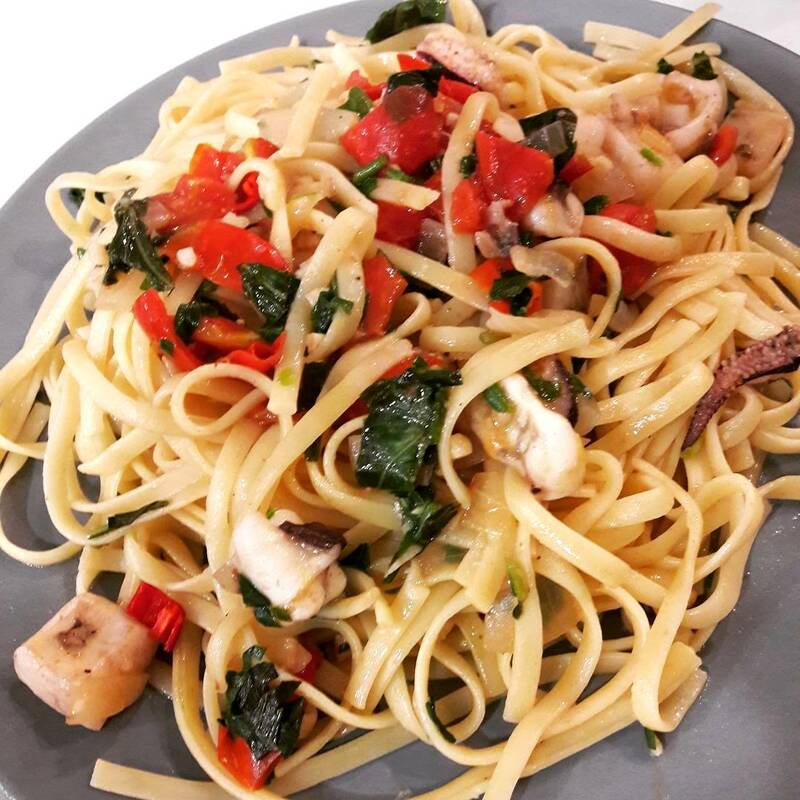 This is a quick recipe that you can use with any seafood. 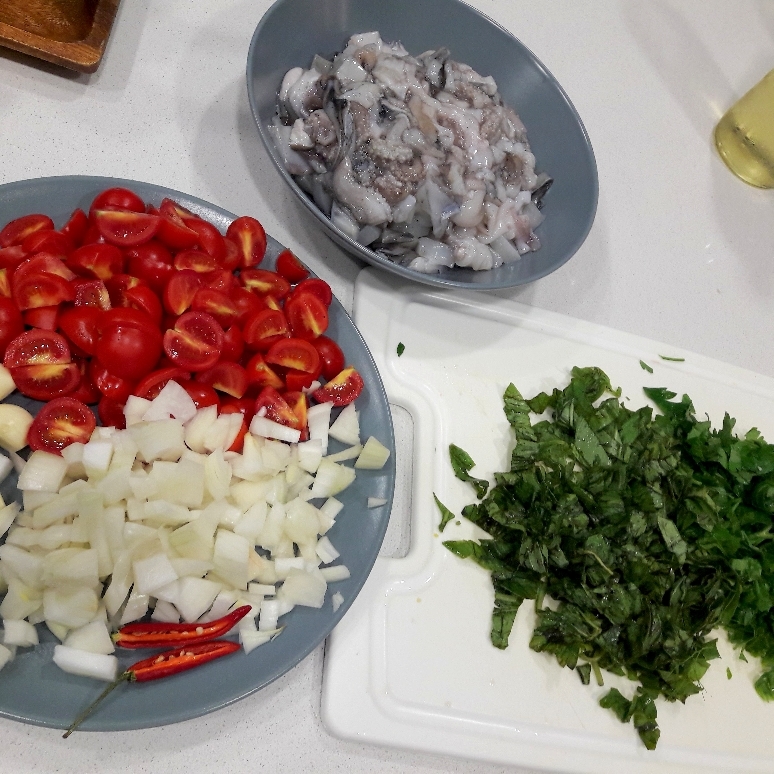 Here we used cuttlefish, which is very similar to calamari or squid, but the same recipe could be used with clams (vongole), mixed shellfish and king prawns. This is a crowd pleaser. Now that I have my own kitchen, I will start experimenting more with dishes that please our guests. 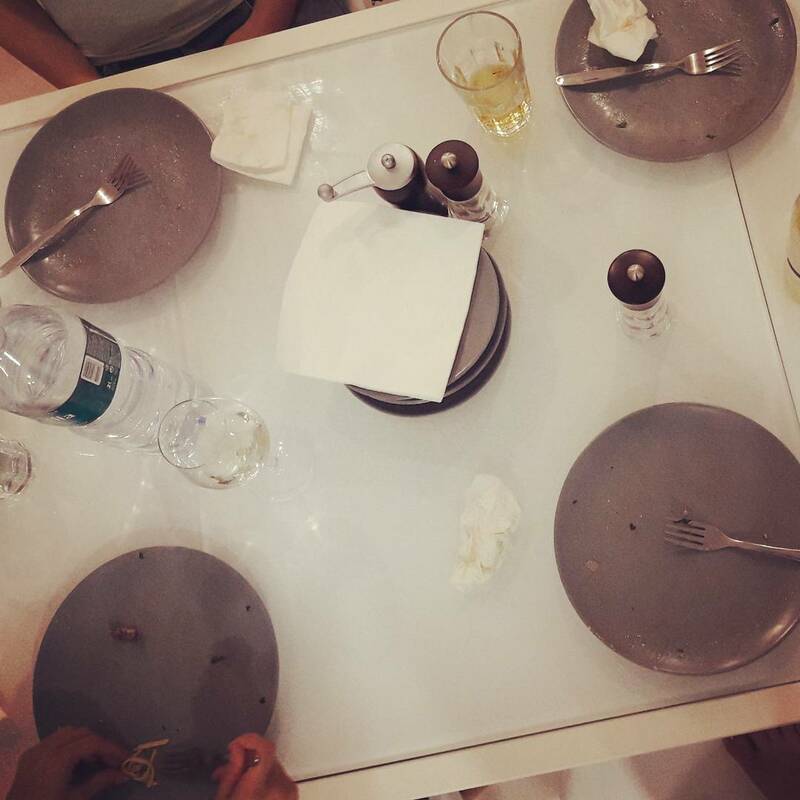 Thus even though I will always try to cook a healthier version of a dish, I am more keen on trying traditional looking dishes like this pasta, homemade pies, and Sunday roasts! The first step is to prepare all your ingredients. Chop and dice all the ingredients as the dish is pretty quick to make. Bring a pot of water to the boil if you are using regular pasta. Stir fry the onion in olive oil. Add the chilly and cook for about 4 minutes until the onion is softened. In the meantime, add the raw pasta to the separate pot of water to cook. Add the tomatoes and chopped garlic to the onion and stir-fry on high heat until the tomatoes soften and juices start to dry out, this will be about another 4 minutes. When the mixture is drying add the wine, be careful as it will sizzle, you may flambe if you're using a gas flame. Turn the heat on low and allow the alcohol to evaporate for about 3 minutes. Then add the seafood, salt and pepper, stir and close the lid. Check after 3 minutes, or less, the cuttlefish is ready as soon as it turns white. Shellfish will be ready when most of the shells are open. Add the parsley and basil, mix well, and switch off the heat. Drain the pasta saving 1/2 cup of pasta liquid to add to the cuttlefish sauce. Add the mixture to the pasta to combine with some extra olive oil and pasta water if necessary and serve immediately. This recipe serves four main course dishes.